Chrisitan | Sana Ako si Ricky Lee! Spilling Salt Is A Sign of Bad Luck! In the preceding post, I talked about the how salt is used as main and very essential ingredient in making the Catholic Church’s holy water. Today, I would like to share with you another thing about salt. Once, while having dinner with some High School friends, one of them accidentally spilled salt. I told him that spilling salt is a sign that bad luck is about to come, meaning a bad thing or bad things may soon happen. As I was about to proceed to tell him how to counter or stop the bad luck from happening, he sort of rudely told me that he is a Christian and that he don’t believes in such things. Another friend who knows my interest in Feng Shui signal for me to just keep quiet. Until now, I still don’t know whether I did the right thing. For soon after that incident, that particular High School friend entered into a bad business and he almost lost everything. He was reminded of his encounter with me and asked me as to what he should do. 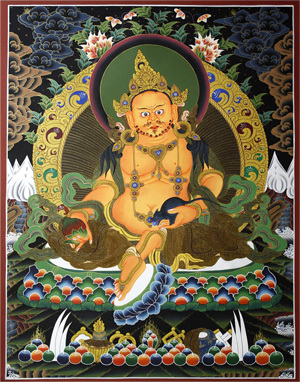 Luckily, at that time the Vajrapani Ruel is already available and so he got one. Soon he started to put his business back and got back what he lost. But the question is whether he can do anything when he spilled the salt to stop the bad luck? The answer is yes. He can be more cautious and be aware of the warning. 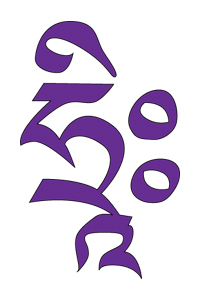 He can also simply pinch a salt from the spilled salt and throw it over his shoulders while chanting OM AMI DEWA HRIH or OM AH HUM or OM MANI PADME HUM seven times. 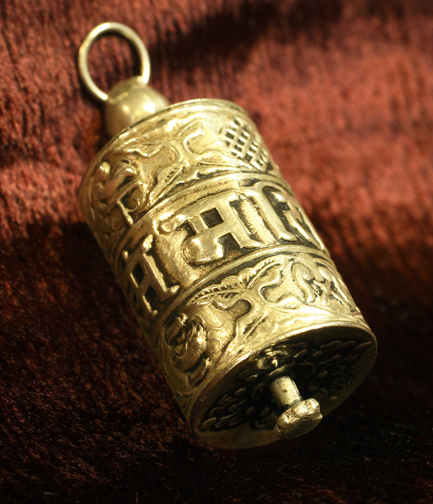 By doing that one can surely prevent the bad luck from happening or at the very least, it can help you from receiving the full impact of the bad luck. Having said that, I would like to clarify that spilling salt doesn’t bring bad luck. Spilling salt signifies that bad luck may happen. So the bad luck is already there and is forthcoming, spilling salt serves as a warning. 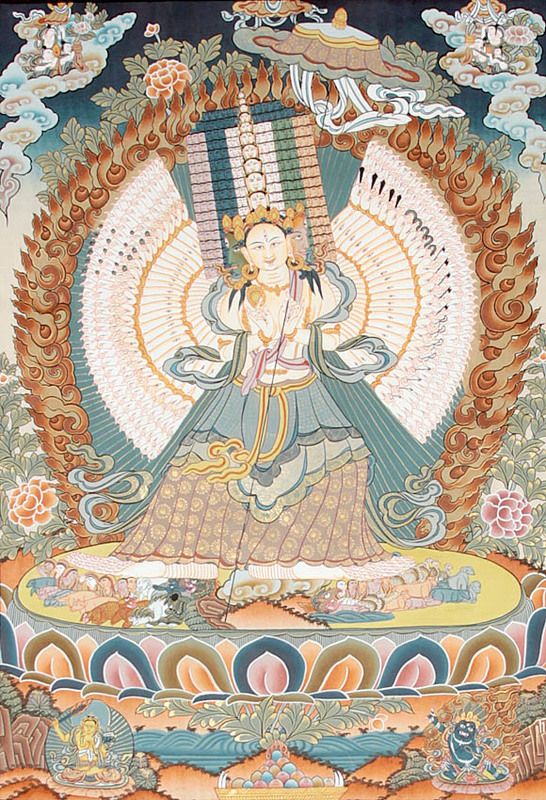 As I said in the first two parts of this series the Kuan Yin Miracles stories are being shared because I want to stress the point that as much as Buddhist amulets like the very much coveted Vajrapani Ruel are powerful tools to have to help us tap into the blessings of the Buddhas or Bodhisattvas, one need not have them to experience their wonderful and amazing power. The first two of this series was shared with me by a Zen Master and this next story was shared with me by a dear friend. CL is the eldest of 4 children. 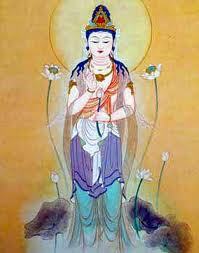 He was also brought up as a Catholic Christian, but has mentally converted to Buddhism because he felt that it was Buddhism who was able to answer some of his pressing questions about suffering. 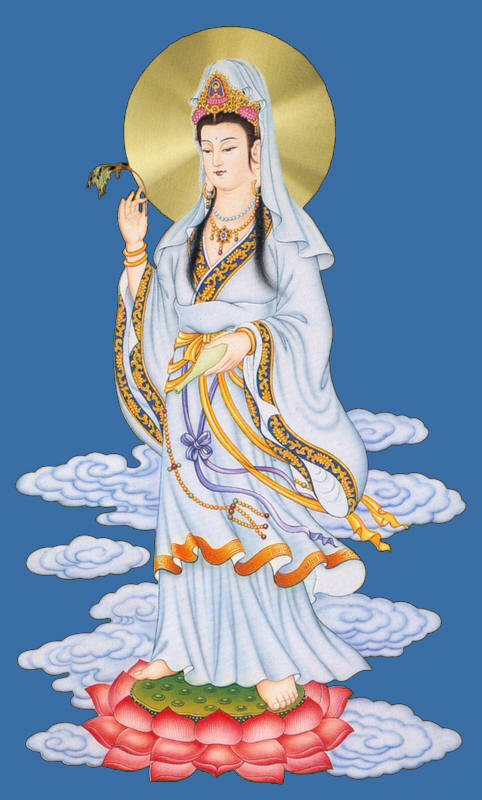 The very first thing he learned about Buddhism are Karma and Buddha himself, but when he heard about the story of Kuan Yin he seem to have felt some affinity with the Bodhisattva of Compassion, so much so that he started wearing an image of Kuan Yin Bodhisattva. One day, when he was working in his office, all of a sudden they experienced a power outage. Thinking that it was a normal brownout, they decided to ignore it. CL is working on the 11th floor of a 12 – storey high building. He and his officemates ignored the power outage, and continued working with the help of the sunlight coming in from their office windows. After a while they started hearing sirens from a fire truck and they wondered as to where the fire is, but generally ignored it. But then, his officemate got a call from one of their colleagues. This particular colleague was out of the office for some errand and was just returning from work. Apparently, CL’s office building was on fire which started a floor below from CL’s office, which is on the 10th floor. They didn’t notice the smoke because the fire was on the other side of the building. Furthermore, as what appeared in the investigation afterwards, the fire alarm system of the building didn’t worked. When they were informed of the fire, that’s when they noticed the smoke coming in from beneath the floor. His other officemate made the mistake of opening the door, and soon their office was also on fire. Meanwhile, their colleagues who were downstairs informed the fire fighters that some people where still in the 101th floor. Their ladder was unable to reach the 11th floor, but CL and his officemates were instructed to get break the glass of one of the windows, and there is a fire escape ladder just outside of it. They did as they were instructed. Maybe they were in a panic, or maybe it is because it was an old building and the fire escape ladder has never been used and was so rusty that they’re unable to push it down. Furthermore, only one person can step out of the window to fire escape ladder because more than one would also put them in danger of falling off the building. By this time, everybody was already scared, and some felt hopeless. They were 8 of them in the office, which is already on fire. 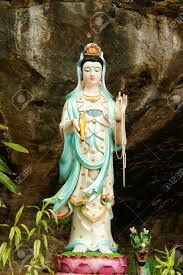 Out of desperation, CL fervently called on Kuan Yin to help, and started chanting Kuan Yin’s name. 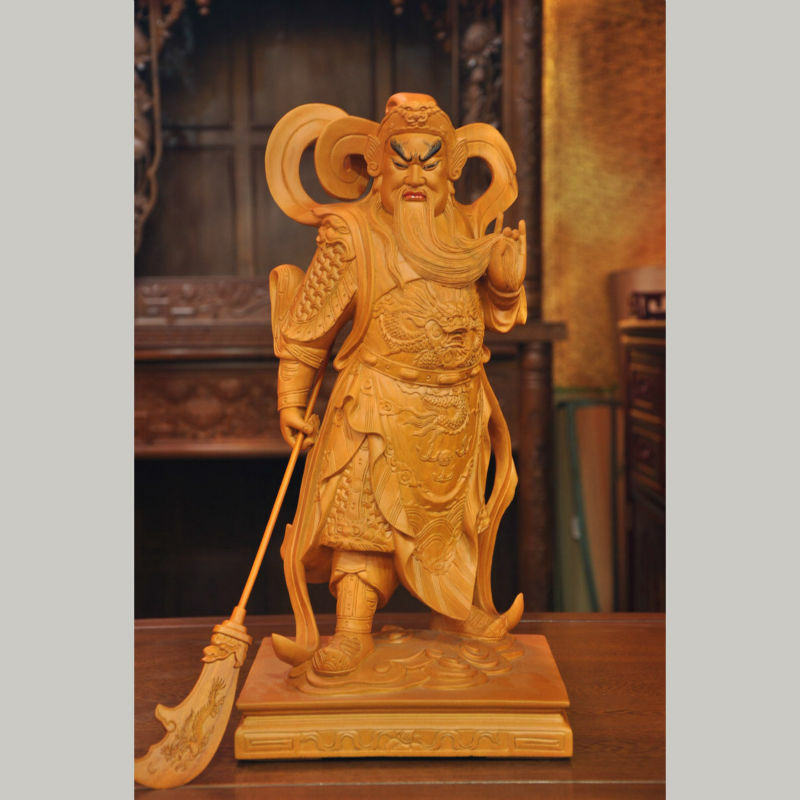 CL can’t be sure, but he thinks on the third time he called on Kuan Yin’s name, the fire in their office seems to have simply been blown out by a strong wind, and at the same time, the guy in the fire escape ladder said that he was able to successfully pushed the ladder down. To make the long story short, they were all able to escape without any injury, aside from being really shaken, and for a brief check – up to ensure that they are all fine and had not suffered any damaged because of smoke inhalation. 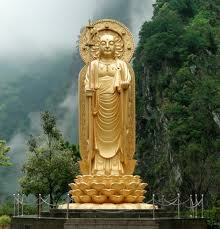 CL firmly believes that it was Kuan Yin who helped them escaped that day! 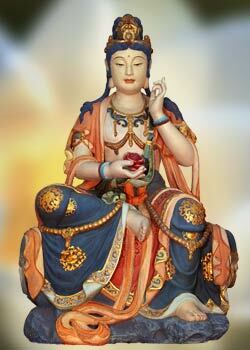 PAYING HOMAGE TO KUAN YIN, THE BUDDHA OF COMPASSION.